Extra Specifications: USB powered, lightweight portable. New in box. BRL Test is your authorized Signal Hound distributer. 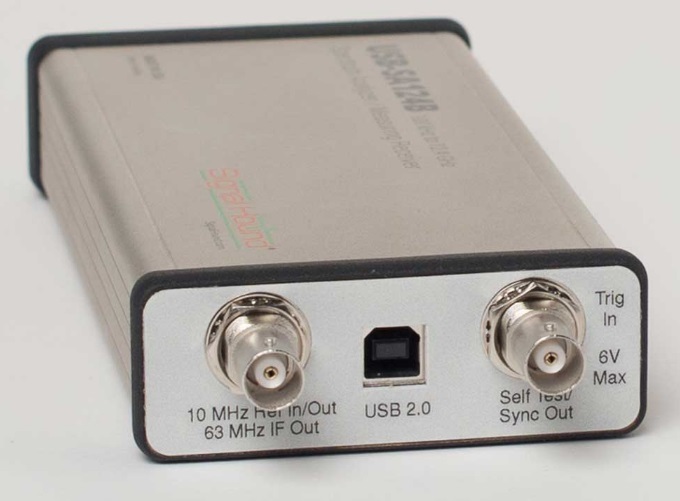 The Signal Hound USB-SA124B is a Software Defined Radio (SDR) optimized as a 12.4 GHz spectrum analyzer. The included Spike software is powerful yet simple to use. Analyze with state of the art sensitivity, accuracy and dynamic range you?d expect in a unit many times its cost. 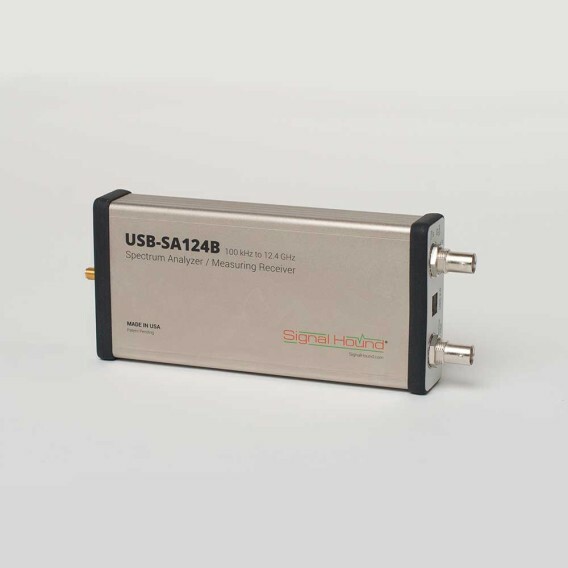 Add tracking generator USB-TGA124A to upgrade to a scalar network analyzer. Compatible with Windows 7/8/10 32-bit and 64-bit operating systems.